To be married to ones work, in a manner of speaking. Being married is… hard work. I do not say this from experience, of course. But, I have had various levels of friendships, dates, significant others, and so on, and taken as a logical extrapolation above all of these to be married is to mutually accept and adore a whole lot of things about and for one another. Throw in the legal documentation, the amount of time partners will be spending around each other (plus how that can clash depending on interests), and countless other things, and it becomes not a static state of being but a consistent process of giving, sharing, and potentially rubbing up against one another. In the potentially conflict inducing sense, as much as any other. But, partners can also look back on such times of disagreement and laugh at them as well. Indeed, to be able to do so is not only healthy, but arguably essential to the entire process. 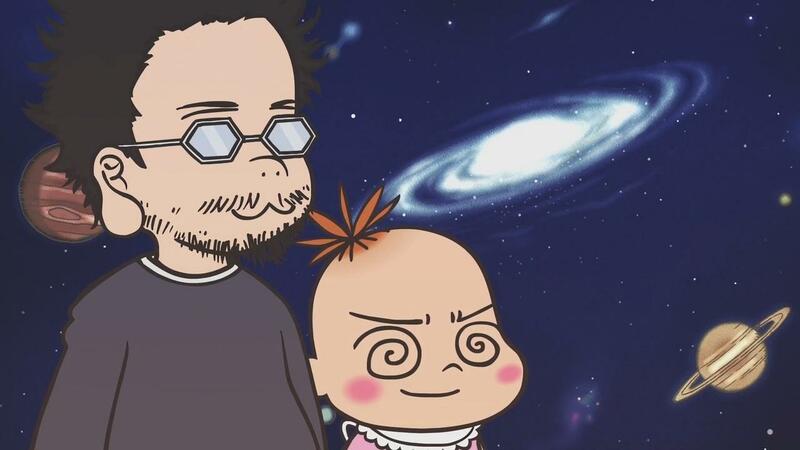 The marriage of Moyoco and Hideaki Anno in 2002 was one met with guests being handed copies of a custom dōjinshi manga they made just for the occasion. 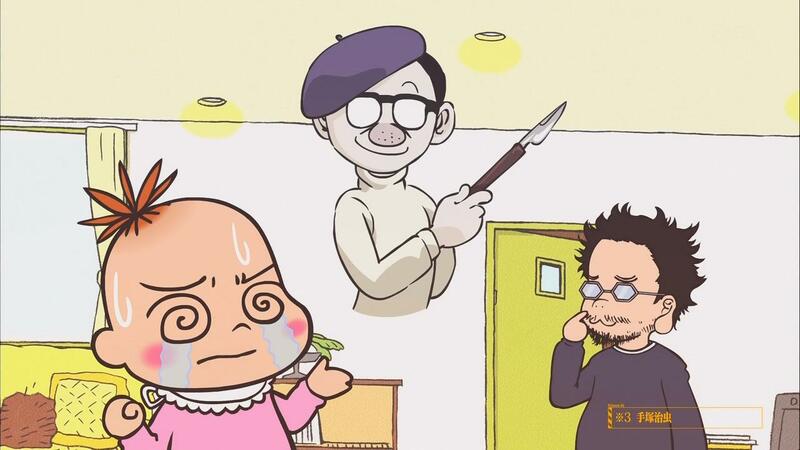 It makes perfect sense that for a celebratory occasion marked in such a way for two highly creative professionals, that for several months Moyoco Anno would serialize a comedic comic based on the tales of her developing married life. This is the starting point for Insufficient Direction, though there is of course a bit more to it all than that. While Moyoco has managed to earn critical acclaim in her own right through manga works like In Clothes Called Fat (Shibō to Iu Nano Fuku o Kite), her husband is no nobody either. Hideaki, one of the cofounders of Gainax after the Daicon opening videos (and now founder of Studio Khara) as well as directorial and creative helmsman of the explosive Neon Genesis Evangelion, is not just a headliner name in the anime industry. He is also a legendarily huge otaku regarding all manner of things. A colossal nerd in so many ways, from vintage live action superheroics like Ultraman and Kamen Rider to classic robot shows like Space Runaway Ideon. To be married to him would certainly make for a rather particular home life. I had read the manga version of this series some time ago (it had become available via Crunchyroll), and there are enjoyable qualities to how Moyoco frames and presents her relationship adventures. While Hideaki is only barely covered for, named as “Director-kun” here though presented in a recognizable (if often quite disheveled) fashion, she herself selects “Rompers” as her trusty stand in avatar. Essentially, Rompers is a large toddler with little hair and swirly eyes, with traits right down to their onesie pajamas. Certainly, one can never consider Moyoco is presenting herself in an overly shining light via appearances either. With many of the conflicts presented involving Rompers freaking out about something to the near oblivious Director-kun, the more childlike appearance can often be seen as a useful abstraction. There are times, after all, when we look back on our own past actions and see ourselves as having been acting like a big baby when there was far less to worry about than we first thought. The chapter length stories are the kind of thing one can easily imagine being practiced tales shared with friends at get-togethers. Or between themselves in later “Remember when…” times casually, far before ever putting any of it down with ink and paper. Trying to figure out how to even begin to do home decor or divide up rooms and their usage when one’s husband has a whole collection of videos and figures they wish to display. The dawning recognition that, since they have been getting up early on Sunday’s with their partner because a certain superhero show is on, they have consumed multiple seasons of such material. Things which occur when Rompers becomes sick and must be cared for by Director-kun. And so on down the line of domestic affairs. Most of the jokes, setting the real life human counterparts of the characters aside, coast along at a relatively consistent pace of chapter length gags and reactions to the situation at hand. Given the people behind the names however, this does mean the jokes thread a variety of older anime and tokusatsu references which would be hard to fit in to many other series and circumstances, so those are welcome little references to see come up in household life and as a distinguishing trait for the series. Likewise, because one can so easily see how these are very likely nowhere near the first time these tales are being told, there is a well practiced clip they maintain. Aspects which many have dragged or been found highly extraneous cut down through perhaps telling these stories in the settings of friends and family. The reaction feedback then likely working its way into how the same or similar anecdote may be shared next time. None of this has touched on the anime specifically, though it is not wholly without good reason. The animated version of the manga is a very direct, well, adaption of chapters from the manga. If one has read the version Moyoco drew herself, they have essentially seen everything Azuma Tani and FROGMAN (of the Thermae Romae anime series) directed here. The script, storyboards, and so on are quite a literal and by the book adjustment for motion, sound, and a digestible size of under five minutes each. With the limited animation not being much of a showcase ace, the primary unique selling point of the anime then does very much come from the sound department. Kouichi Yamadera plays Director-kun, and thus brings with him an armory of key role voice acting history. This is both in Japanese animation, as he is even the current voice of Koichi Zenigata in the decades spanning Lupin III franchise, but also far beyond, such as being involved in many Disney roles for their Japanese language dubs. It is a presence and hearty resume to suit the portrayal of the mega nerd animation industry professional. Rompers voice not only meets but potentially even eclipses such statute depending on one particular viewpoint or interests, brought to life by Megumi Hayashibara. While her voice acting career has slowed down in recent years for other pursuits (and the anime version of Insufficient Direction is a 2014 series, with her only other roles this year being in Parasyte and One Piece), she was very much the ever present voice of choice for dozens of successful properties throughout the 1990’s. And thus also the more formative years of Moyoco and Hideaki’s relationship. Notably, both Yamadera and Hayashibara starred in Neon Genesis Evangelion as well, the former as the investigative agent Ryoji Kaji and the later famously as Rei Ayanami (and Pen Pen. And Yui Ikari. And Mana Kirishima as the lead from Girlfriend of Steel). Big name voice cast for a flash animation aside, there is another sonic shot the television series has access to. Any and all music related gags become stronger I feel in the animated version. There are scenes where theme music from a classic series is on in the car, or a song is being otherwise sung by a character, and those are pretty much all licensed here and ready to be deployed (with one notable exception, which the series finds a workaround for). Every one of the thirteen episodes showcases its credits with a different ending theme from a famous production being belted out by idol group AŌP as well. These stretch from Galaxy Cyclone Braiger to Panda Kopanda, so there is a lot to keep ones ears open for, or which may otherwise catch someone off guard. This is an element the manga has a stretched difficulty with at times, trying to get across several songs in various circumstances, but the points do get across with better comedic timing when one can hear the song in question. Especially if one is not familiar with the tune. Which, baring approaching Hideaki Anno levels of otakudom, may well be the case for many viewers with a variety of these selections. Otherwise, in this particular case I would sooner be pressed to recommend the manga version than I would the Insufficient Direction anime. Moyoco Anno’s simplistic slapstick art style deployed in the series is not really elevated any by the movement of animation frames, which often simplifies the visual look even more. So I feel going with the more detailed of the two is a reasonable option on that front. There is also something possibly to be said of some hard to quantify X factor of her married life anecdotes being stronger coming across from her own hand rather than those of others, even if the anime is a very by the numbers script line and scene adaptation. 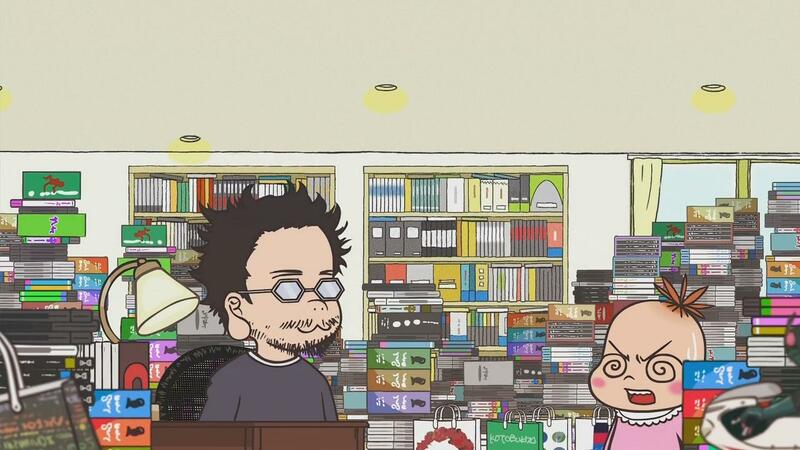 A case could be made that if the Insufficient Direction anime, coming out roughly a decade from the conclusion of the manga, had incorporated new stories it could have had more of its own leg to stand on given the nature of the work. The Anno’s are still married after all, so there is plenty of “source material” which would have developed in the time since. I think it is telling that most of what I consider the anime to be at its best with is in how it chooses to make use of the sound elements. It is an area the original could not really compete with. Sometimes things just “feel” right in certain formats though. It is hard for a small animated production based on little comedic stories from someones life, almost no matter how closely the original creators may be involved in the process, to stand against the preexisting output of the person who has lived that life having told the same stories themselves in a near equally small comic format. Perhaps there is something to be said of the idea that every relationship is unique, and attempts to too closely mimic the exact successes and moments of a previous one will only end unfairly for the partners involved. It is how I felt a lot of the time watching the Insufficient Direction anime, as it so badly wants our time together to be just as it was in the manga in almost every way. Everything just so and pre-planned, trying to recapture the same feeling down to the letter, and there was little room for any organic growth. Which, I feel, is is its own way probably a pretty important metaphorical thing to keep in mind regarding married life as well.